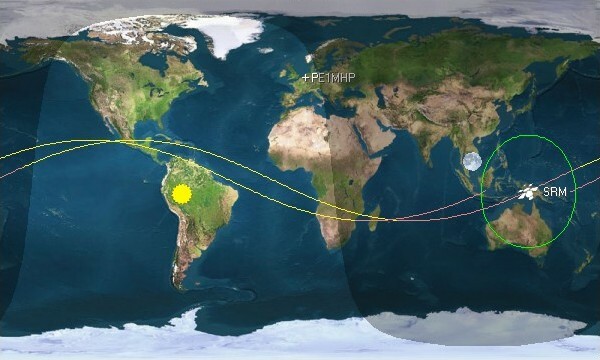 With the help of Orbitron and the preliminary tle information, I learned that SRMSat can’t be received in the northern and southern hemispheres. To be sure of my findings, I contacted Dinesh Cyanam (KC2YQJ) and he indeed confirmed my findings. When you have a look at the image, the orbit will be between +25 and -25 degrees. This entry was posted in Satellite and tagged Satellite, SRMSat by PE0SAT. Bookmark the permalink.